After extensive anonymous research, The Tea Guild judges reveal their choice for the best place to try afternoon tea in London in 2013. Various authorities provide differing guides on where you can sample London’s best afternoon tea (in fact, here’s the Telegraph’s pick of London’s 10 best afternoon teas) but one that is always taken seriously is that of The Tea Guild. 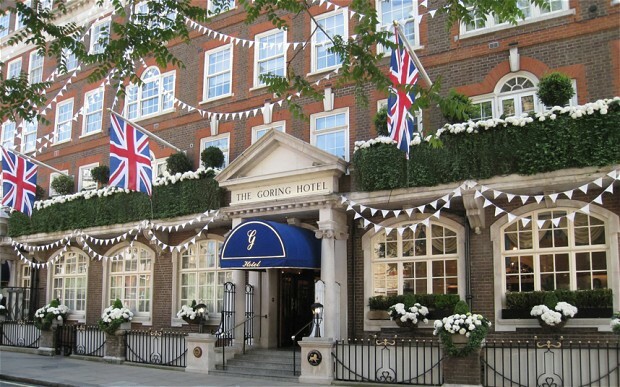 Part of The UK Tea Council Ltd, which is a non-profit, independent organisation dedicated to raising the profile of tea in the UK, the guild names one venue as the purveyor of London’s best afternoon tea each year; for 2013, the honour has been bestowed on The Goring Hotel. Now in its 28th year, The UK Tea Council’s Tea Guild Awards are decided by a panel of judges who sample afternoon teas throughout the capital and country anonymously. Venues are judged for décor, crockery, standards of service, ambience and, most importantly, the quality of the tea itself and how it is served. Posted on April 17, 2013, in Aftrenoon Tea, London attractions. Bookmark the permalink. Leave a comment.